Food storage is a function of almost every kitchen. So what’s the best way to store food? 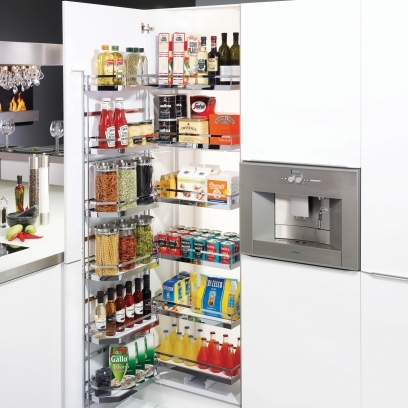 The ideal and most practical solution is to locate storage units for fresh food and groceries close together. 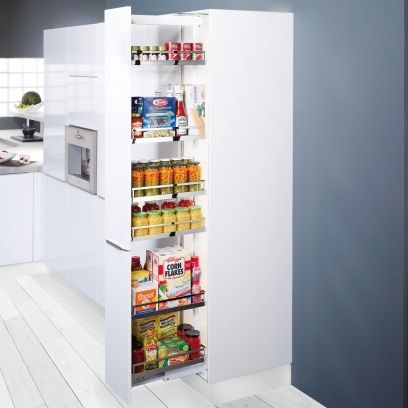 People want a modern, central storage solution for groceries and to organise and access the stored goods easily. 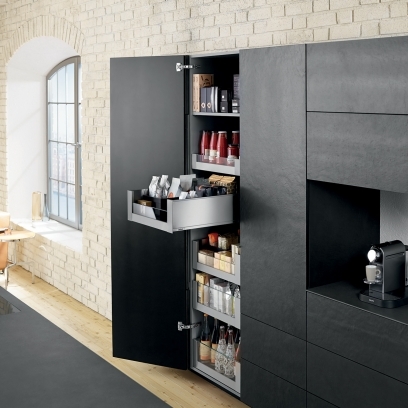 People also want storage units that are quick and easy to open and shut. 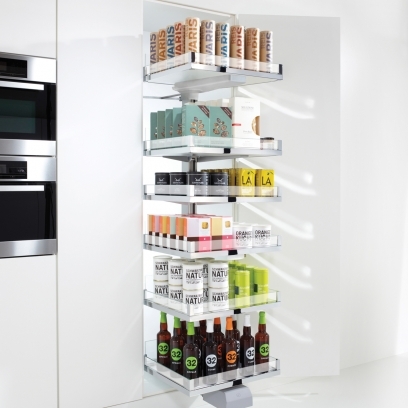 Tall cabinet solutions offer an easy and practical way to meet these needs.